Hey again everyone, hope you’re all doing great since the last time I said hi. 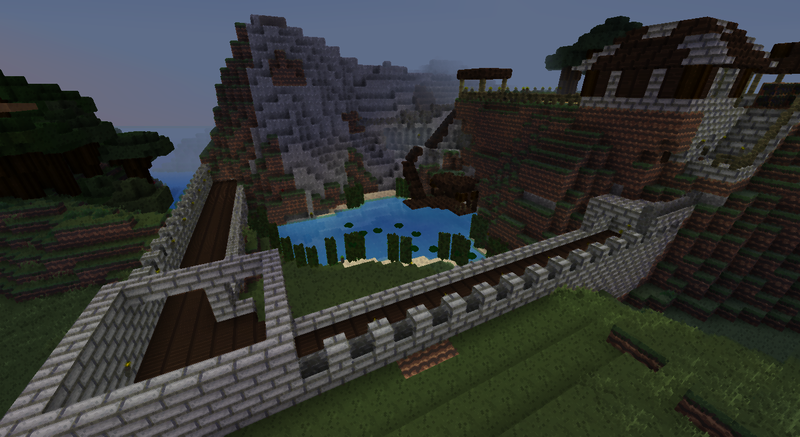 This week I decided to change things up around my house and terraform my lake! It was a simple task really; I just needed lots of dirt and a few buckets to get it done. This is the old lake filled in and covered with sand, my favorite lake type. Can’t stand the dark look of a dirt and stone filled lake. This is how I got the lake filled in. 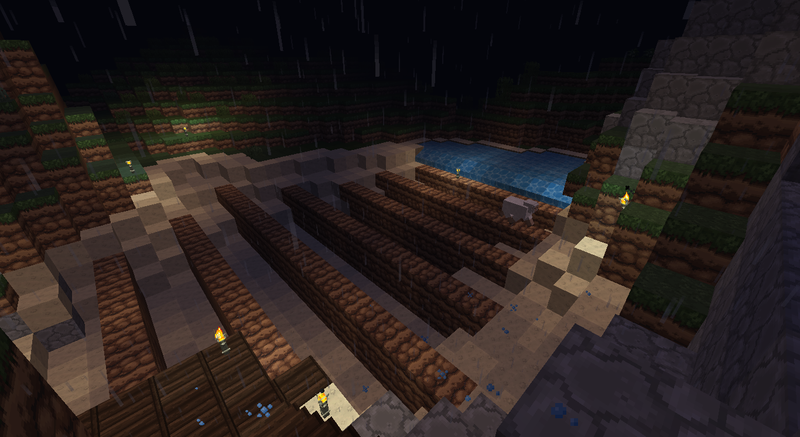 I made channels that were two blocks wide and 2 blocks deep and just kept filling them in with water. 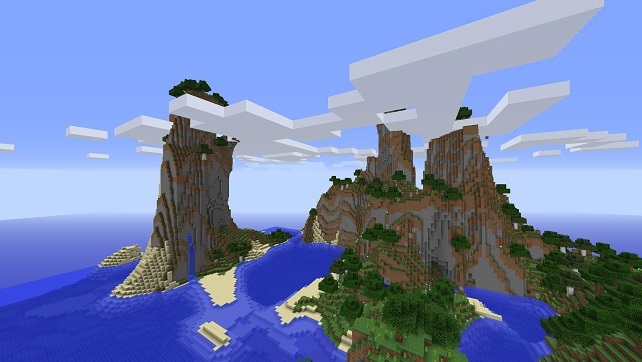 Luckily, one of the updates made it so much easier with the way the water fixes itself now. 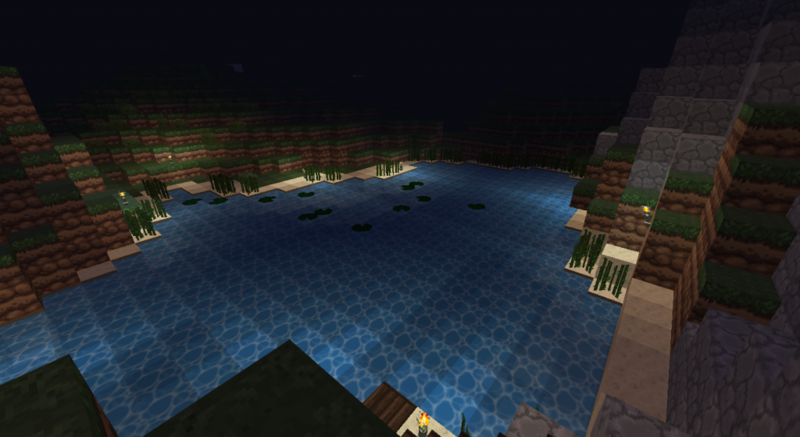 The lake filled in and at night time! Pretty isn’t it? 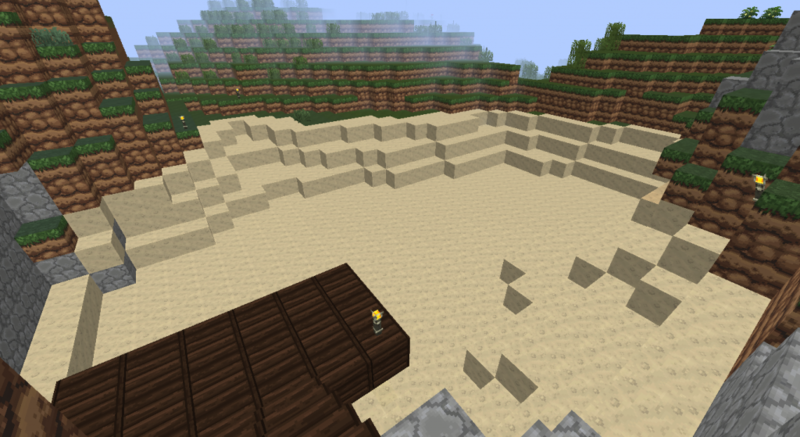 I really like the way it looks with the sand over the dirt and stone. I added lily pads and reeds making this an even more awesome lake, pond…thing…not sure what the technical term would be.. but oh well. Fishing in my new lake! Gotta catch lots of fish incase I find a cat in a jungle right? Now that my lake is done…lets add some protection for night fishing! This was the foundation of my wall before I finished it. This is the end result of the building of the wall, a finished wall! 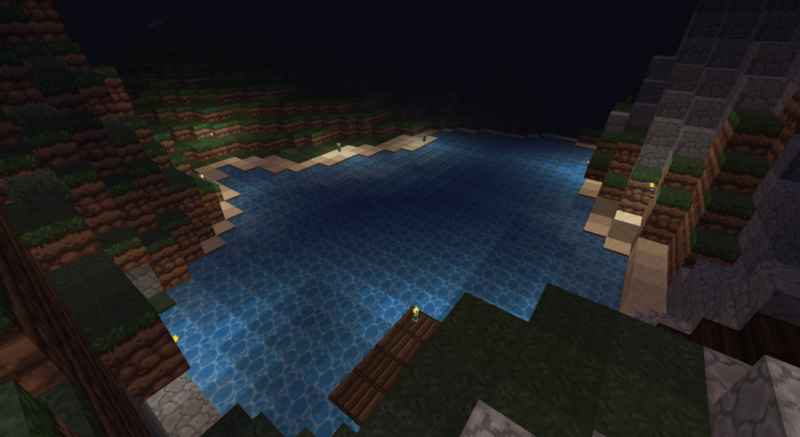 Now I can safely fish at night and not worry about creepers or zombies…or even skeletons trying to kill me! As always, thanks for tuning in and reading my articles! I’ll be adding more here in the next few weeks. 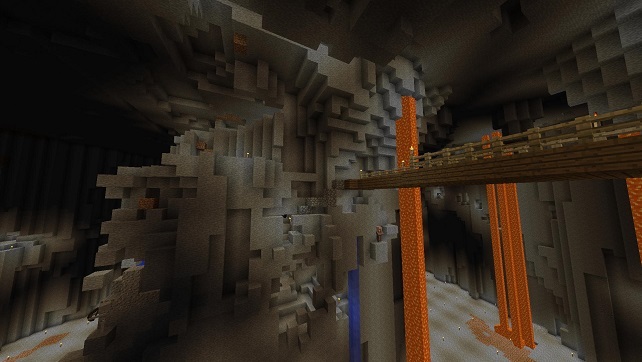 I’m still deciding on what to build or do next, but it might be nether related! Ghastly! Did you need to make the dirt walls two deep for the water to fill in correctly or were you just being extra cautious? It looks really good though man, keep it up! Well, both actually. I wanted to make sure the water was fully flooded, no currents flowing down or anything. To do that I had to make sure every water block was a source and the only way that I knew how to do that was the way I did it above, would love any comments on how to do it easier though! I just messed around with it and it appears that you’re correct. 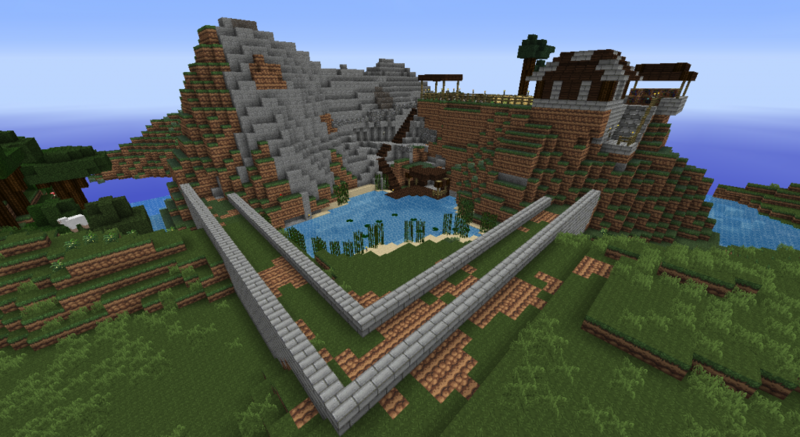 That kind of makes me sad, but does explain a lot about why it was so hard for me to build my underwater base a while back lol!